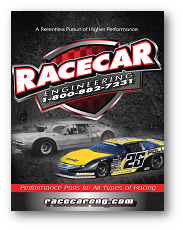 Our Racecar Engineering™ Circle Track Parts and Accessories Catalog provides professional racers, sportsman racers and their team members the high-quality components and tools to allow them to start to field, finish up front and if everything clicks, park it in Victory Lane. Our 2017-18 Circle Track Parts Catalog contains over 700 pages and gives you access to well-over 400 of the most highly respected brands in racing. 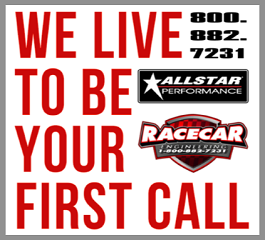 So, look around here online, browse our great parts selection and shop here on our website 24/7. You can also request your personal hard copy of our current catalog. They&apos;re always FREE... Be sure to get yours today! To have the latest RCE™ Circle Track catalog mailed directly to you - Click Here. PLEASE BE PATIENT - Our digital catalogs are designed to be very quick and responsive. However, load time is very much dependent on your device and Internet connection, especially for first time catalog visitors. Don&apos;t Need The Catalog and Just Want To Browse The Parts Inside? No problem! To access and shop all brands and items in our 2017-18 Circle Track Parts and Accessories Catalog - Just Click Here.